The digital transformation requires customizable IT platforms. 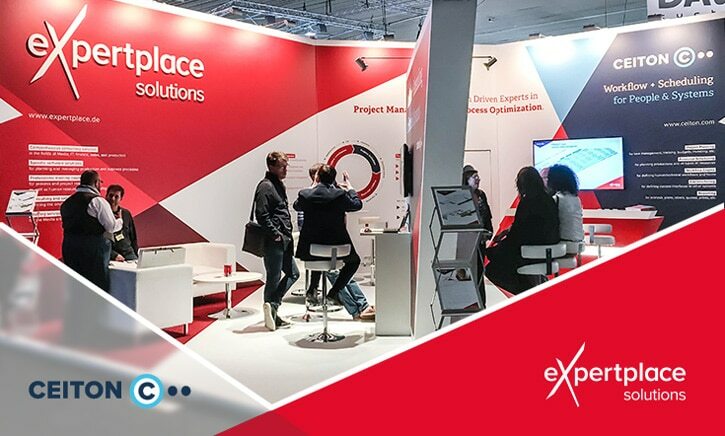 Expertplace solutions GmbH presented the IT platform CEITON and showed its new look for the first time at the IBC. What were the highlights? What did customers say? Whether you were interested in a new 8K camera, a RAW server, action microphones, a broadcast communication solution, a video editing program for 360-degree cameras, or a director’s studio in the cloud, the largest media fair in Europe showed the directions in which the media world will move in the future. From the 15th to 19th of September, visitors could leave the rainy weather outside the IBC in Amsterdam and discover technical novelties in every aisle. Expertplace solutions presented itself with a completely new look at the IBC in 2017 and presented its pioneering technology for the media industry. The media industry is changing and streaming, the cloud and virtualization are now indispensable parts of the industry. New formats and new job profiles will emerge as the medium of video remains the fastest growing medium in the entertainment sector, but has to keep pace with rapidly advancing digitization. Because the digital transformation will change the content design of TV and radio, a workflow in the media sector must always remain customizable – and with it the IT platform. This is what expertplace solutions specializes in. 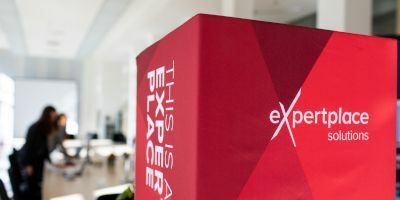 The trade fair appearance was a complete success for expertplace solutions. After the IT-company integrated CEITON software into its portfolio, there were many changes. At the IBC in Amsterdam, customers could now experience the innovations live with a new corporate design on a welcoming open space of 48 m². This attracted many interested parties and consistently provoked positive feedback. The transformation is in full swing and this was also evident at the exhibition stand. For the 50th anniversary of the IBC, expertplace solutions had spruced up with a stylish new booth. Many customers and prospects are already familiar with the CEITON brand and its classic blue color and thereby associate efficient workflow management with automated scheduling. At the same time, expertplace solutions presented itself as a successful medium-sized IT consulting company in a distinctive red. Only those who continuously improve internal processes and methods can solve customers’ problems efficiently. With the clean design and clear process structures of CEITON, new prospects, who want to automate their processes in order to remain competitive in the fast-moving world, could be gained at the IBC. “As a software provider, we constantly have to change and adapt. We have been able to do this successfully every year and we have shown again at IBC that we are continuously optimizing our processes”, recounts Mirko Bolick, Head of Customer Service. With the digitization of the world of work and the shift to mobile working, companies have also changed their requirements for software solutions. The development of CEITON time tracking into the CEITON Mobile Workbench was therefore particularly well received by regular customers and new interested parties at the IBC. With the new CEITON Mobile Workbench, it’s easy to record work and project times, request vacations, enter vacancies, and manage team-based tasks and resources on the go. Corresponding activity confirmations and reports are generated with a single click and the useful calendar view maintains a comprehensive overview. The information portal for employees is a kind of virtual roster for rooms and employees to which employees, dispatchers but also outsiders, customers and suppliers can get access. Here everyone can see which room is currently free, whether your colleague Judy is still in the office at 5pm on Friday, or whether you can borrow camera 5 on Tuesday. So, entrepreneurs and planners will be able to use resources more efficiently to handle orders faster. Of course, the CEITON Mobile Workbench and the Info-portal are also linked as modules to the workflow and scheduling platform CEITON.